The best feature of handmade jewelry is the sheer diversity of styles and designs that are available. Whatever the occasion you are able to find the perfect accessory for every outfit, budget, and personality. Handmade jewelry is always in fashion with an emphasis on the expression of your personality and creative nature. 1- Big and bold is something to watch for this year. Eye-catching color, patterns, and textures that make you stand out in the crowd. Whether giant hoops or button earrings, this year the trends are making it impossible not to notice your stunning face. Chokers and chain link necklaces are back with vibrant colors, bulky shapes and layering of lengths. 2- Simple elegance has been popular for many years and will continue to as a wardrobe essential. Smaller sizes of handmade earrings in natural metals with minimalist emphasis on design, texture, color, and shape are perfect for working ladies. Layering and grouping of similar themes is a fashion trend that will maximize the impact of delicate designs. Although designers have shifted the trends toward larger styles, this dainty trend will continue to show strength. 3- Native jewelry designs are trending again in 2019. Color and patterns with a Native American flair are always in fashion. Southwestern designs reflect a strong spiritual connection with nature. Northwest designs are dramatic with the emphasis on animal and totemic designs. 4- Flower jewelry of all shapes and sizes, delicate flowers, stylized or realistic floral designs on handmade earrings, bracelets and handcrafted necklaces are a groundbreaking trend for spring. Express your own individuality and style with delicate bouquets or the savage garden approach. Floral jewelry adds a feminine touch to jeans, dresses, and even business suits. 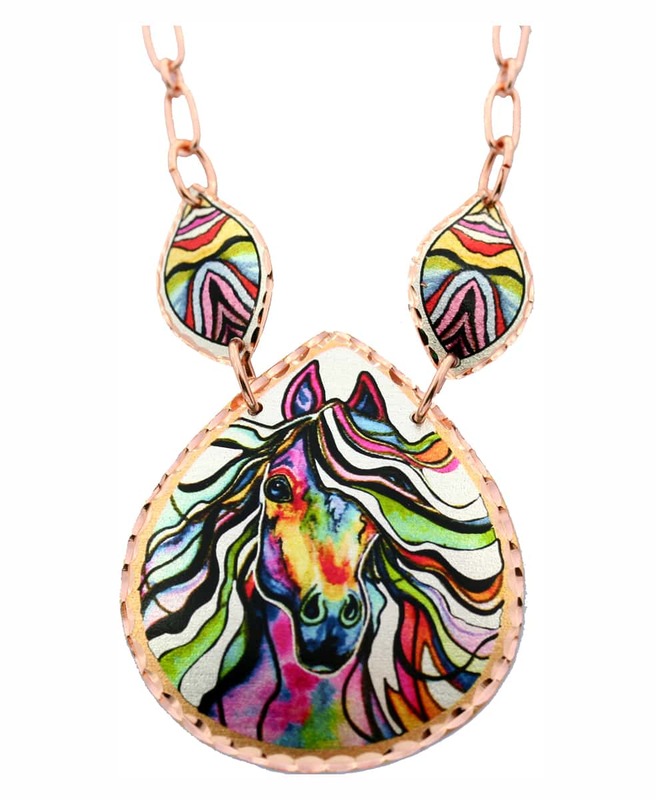 5- Animal jewelry and animal prints are having a huge impact this year. Show your love for animals and nature with wide assortments of animal theme jewelry. 6-Feather jewelry has been seen on the runways of Europe and will continue to be a fashion trend again and again. The feather shape draws emphasize to your face. Big or small, colorful or plain, makes no difference this year, as long as it is feathers. 7-Geometric designs with big and bold links were the rage on the runways as well as street styles. As the warmer weather approaches, we can expect to see more diversity as spring fashion styles make their entrance. One of the things to note is the lariat style necklaces that can easily be converted into wrapped styles, long necklaces, bigger and layered that will instantly update your necklace options! This entry was posted in Handmade Jewelry, How to Find Inspiration for Handmade Jewelry, How to Select Best Handmade Jewelry, Special Handmade Jewelry Designs and tagged best handmade jewelry styles, fashion handmade jewelry, handmade jewelry trends, popular handmade jewelry.